Located about 120 km east of Melbourne and 50 km north of the Latrobe Valley. 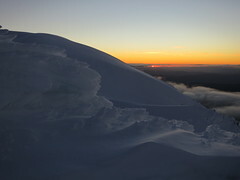 Mount Baw Baw Alpine Village and the 13,300 hectare Baw Baw National Park are the closest ski resorts to Melbourne. 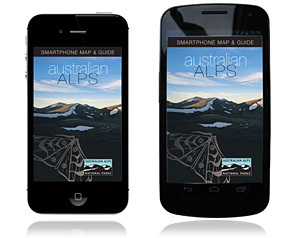 The area is typical of Australian alpine regions being characterised by low lying grasses, snow gums and heathlands. The area is reputedly named after a local Aboriginal word possibly meaning ‘echo’. It was opened up and settled in the 1880s and 1890s largely as a result of the gold discoveries in the area. Today the area is a popular ski resort in the winter months and the rich variety of walking tracks attract bushwalkers during summer. Cross country skiing with a variety of marked trails to suit the skills of skiers. 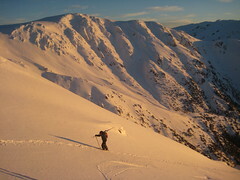 Only experienced skiers should undertake extended trips. Cycling and horseriding – on the formed roads and tracks open to the public. These activities are not permitted on the Baw Baw Plateau, walking tracks, and Whitelaw, Plane and Trigger Creek tracks. Horse riding is also prohibited above the bridge on the Mount Erica Road. A camping area with fireplaces, pit toilets and picnic tables is provided on the banks of the Aberfeldy River. A variety of accommodation can be found in nearby Erica, Rawson, Walhalla and the Latrobe Valley. 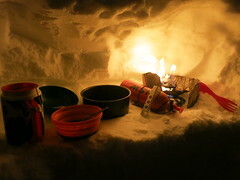 The Baw Baw Alpine Village offers winter accommodation and ski hire. Up to date information including charts and satellite images. In December 1860, the renowned government botanist Ferdinand von Mueller made the first recorded ascent of the Baw Baw Plateau. He named the peaks Mount Mueller and Mount Erica, after himself and a flowering plant of the locality respectively. Ferdinand von Mueller used this expedition to further refine his theories about the relationship between Victorian and Tasmanian vegetation. In 1862, the discovery of gold at Matlock and later at Red Jacket, Donnelly’s Creek, Walhalla and Toombon sparked a rush of miners to the area. Tracks were cut to the new goldfields skirting the northern and southern slopes of the mountain, however the Plateau was lacking in gold and tended to be avoided. In 1906 the Public Works Department constructed a walking track between Warburton and Walhalla. The track gave access to the Beech forests and fern gullies of the Upper Yarra, the spectacular Yarra Falls and the Baw Baw Plateau. Opened with much fanfare by the Governor of Victoria, the Yarra Track became one of Victoria’s most popular walking routes. The disastrous Black Friday fires of 1939 burnt the huts and most of the area transversed by the track. The track was never reopened although bushwalkers can follow part of the original route by following the Australian Alps Walking Track between Walhalla and Mount Whitelaw. The endangered Leadbeater’s Possum, Victoria’s state faunal emblem. Inhabiting the Mountain Ash forests, they rely on old hollow trees and the dense understorey of wattles for nesting and feeding. The critically endangered, endemic Baw Baw Frog. More common species including the Common Wombat, Swamp Wallaby, Greater Glider, Yellow-bellied Glider, Sugar Glider, Mountain Brush-tailed Possum, Brown Antechinus and Platypus. Visit – Parks Victoria’s Baw Baw National Park page.